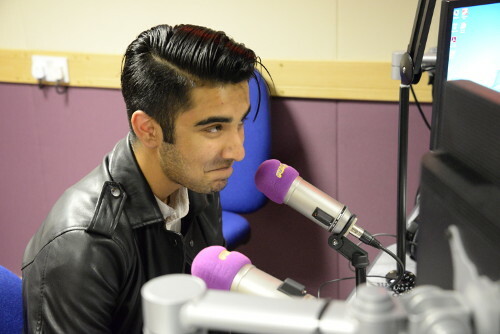 Heritage isn’t all about dusty books and recording people talking about the past, TV and radio can also play a part in letting others know about heritage so we paid a visit to not one but two radio stations, Asian Fever FM and BBC Radio Leeds. Visiting both in one day meant we had a lot to get through but we were super excited to get started. First on the agenda was to visit the Asian Fever FM Studio. We got a tour of the radio station and saw the equipment first hand and even got to pretend we were live on radio and were asked questions by one of the radio presenters. After our mock interviews, we went downstairs to the second part of the station, a fully equipped recording studio where we recorded a ‘jingle’ and very short ad that promoted FPTP. This gave us more experience behind a radio mic and built our confidence. 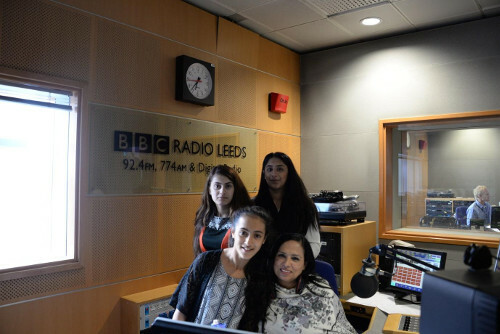 We were then told that 3 of us were going to be live on a radio show at BBC Radio Leeds later that day! The Fever presenters gave us voice coaching, and tips and tricks on how to make our voices more radio friendly. We then headed to the BBC Radio Leeds. After having a tour of the studio, we prepared ourselves for our interview, which would be live on radio. The Producer at BBC Leeds kindly given us a script with the questions the presenter was intending to ask; then three from our group volunteered to go on and chose what questions we felt most comfortable answering and began writing notes of what we wanted to say. We were asked questions about ourselves and the FPTP project, it was a great experience despite our nerves. We went live on BBC radio! A first for all of us.